Phineas and Ferb is a television series created by Dan Povenmire and Jeff "Swampy" Marsh, for Disney Channel. It ran from August 17th, 2007, to June 12th, 2015, with a special called "The O.W.C.A Files" premiering on November 9th, 2015. The show also had a crossover with Povenmire and Marsh's own Milo Murphy's Law. Phineas and Ferb follows the eponymous boys building many machines and gadgets that kids their age normally wouldn't build. People usually asked them "Aren't you a bit too young to (do extraordinary thing)?" They would reply with "Yes, yes we are." Their teenage sister, Candace, would normally try to "bust" them on a regular basis, but at the end of the day, the machine would always disappear before she can show her mother what her brothers have done, either due to Dr. Doofenschmirtz's schemes failing or to random circumstances. 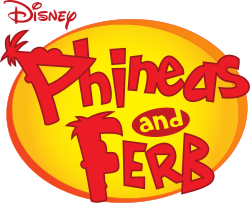 The show had a television film called Phineas and Ferb: Across the 2nd Dimension that premiered on Disney Channel back in 2011, but there was also a theatrical movie in production after that. In January 2011, seven months before the premiere of Phineas and Ferb: Across the 2nd Dimension, the chief of Disney Channels Worldwide announced a theatrical film based on Phineas and Ferb, for a release in 2013. In October 2011, Disney stated that the Marvel film Thor: The Dark World had been postponed to November 15th, 2013, while Phineas and Ferb got a release date of July 26th, 2013. However, in October 2011, Disney postponed the film to sometime in 2014, after also being slated for release on September 28th, 2013. The film was then removed from its release schedule in August 2013 by Disney, seemingly cancelling it at the time. Speculation that the film was cancelled was discussed, but one of the creators of Phineas and Ferb, Jeff "Swampy" Marsh, said that the film was simply "on hold". On July 12th, 2015, Jim Hill Media announced on Twitter that a script for the film had been completed. Nothing else from the film was announced after that Twitter post. No screenshots or footage of the movie have surfaced. To decrease the chances of the film's release even more, Phineas and Ferb wrapped up production in May 2015, premiering its hour-long series finale "Last Day of Summer" on June 12th, 2015 on Disney XD after a 72-hour marathon. However, the theatrical movie might still have a glimmer of hope, as three years after Jim Hill Media's Twitter post was created, around February 2018, a Twitter user asked Dan Povenmire and Jim Hill Media if the film was still on hold or cancelled. Jim stated that the production crew of Milo Murphy's Law was still working on the Phineas and Ferb crossover. However, he stated that, should the special be successful, the film might still happen. Nothing about the film has been heard since then, but as the Milo Murphy's Law/Phineas and Ferb crossover has just premiered as of January 2019,  it could only be a matter of time as to if the film will still happen. On March 22nd, 2019, two months after the crossover premiered, Jim was asked if the film was still going to be a thing. However, Jim said that due to the failure of the live-action Kim Possible movie (which was the lowest rated Disney Channel movie in a decade), people would not count on the film coming anytime soon. In April 2019, it was announced that a Phineas & Ferb movie, titled Candace Against the Universe, would be released on Disney's new Disney+ service. It was originally intended for theatrical release.